All Seasons Termite & Pest Control - A revolutionary approach to fire ant control Over the last 70 years, red imported fire ants have become entrenched in the southern United States. And they are expanding their territories into California and northward on both coasts.Now, new TopChoice from Bayer Environmental Science offers homeowners, landscapers and groundskeepers new hope. Available only through lawn care or pest control professionals, one broadcast application of TopChoice effectively controls fire ants for a full year. Existing fire ants in the treated area are killed and new colonies are prevented from forming. Public enemy #1 Red imported fire ants are the primary insect problem for Southern home lawns, schools, parks, and business and industrial sites. Currently, fire ants infest over 325 million acres across the southern tier of states. And they're moving into California and northward along both coasts. 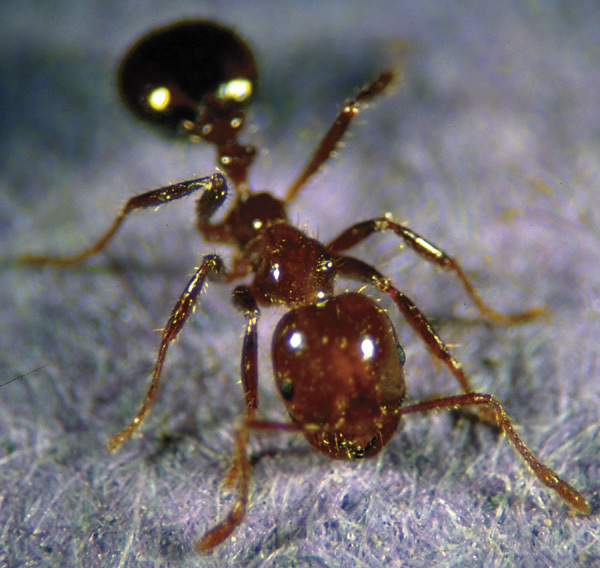 Over the last 70 years, red imported fire ants have become entrenched in the southern United States. And they are expanding their territories into California and northward on both coasts. Now, new TopChoice from Bayer Environmental Science offers homeowners, landscapers and groundskeepers new hope. Available only through lawn care or pest control professionals, one broadcast application of TopChoice effectively controls fire ants for a full year. Existing fire ants in the treated area are killed and new colonies are prevented from forming. Red imported fire ants are the primary insect problem for Southern home lawns, schools, parks, and business and industrial sites. Currently, fire ants infest over 325 million acres across the southern tier of states. And they're moving into California and northward along both coasts. Ants of the genus Solenopsis are commonly called fire ants. They are called fire ants not only because of their reddish coloration but their sting which can cause a burning pain. Though the sting is generally less powerful than other ants, fire ants are more aggressive and will sting much more often. The two species found in the Austin area are solenopsis invicta (imported fire ants) and solenopsis geminate (native fire ants). 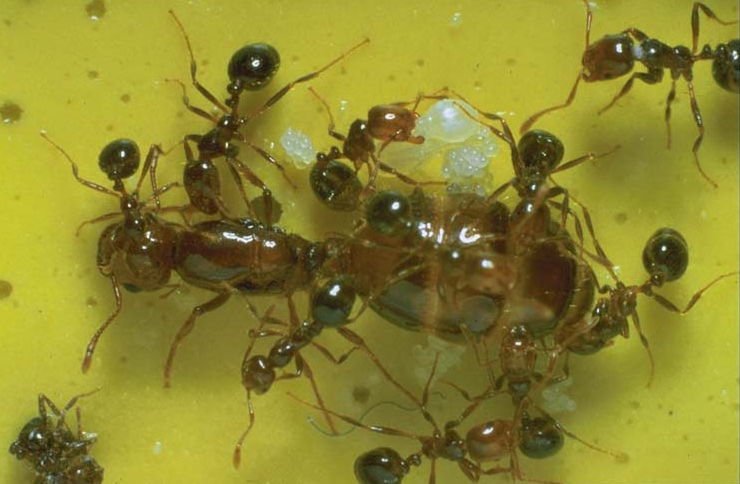 Solenopsis invicta are of a smaller body type are very similar to their larger cousins. They are very adaptive and are viewed as an invasive species nearly everywhere they are found. Fire ants are predacious, foraging for dead animals or outright killing them. Their food includes insects, and other ants. Also much to the chagrin of humans, they are known to enter homes in search of sugars, proteins, and fats. Fire ants are of a more internally competitive nature than most ants. Queen competition is common and at times workers will attack queens who are less productive for the colony as a whole. They are often seen as an invasive species and have ill effects on an ecosystem because they push out other ant species.